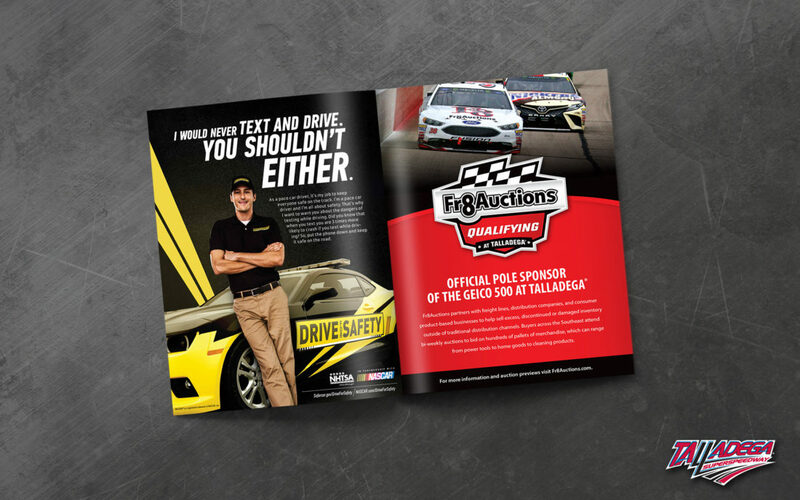 Atlanta based auction house, Fr8Auctions, contracted SMD to design a logo to represent their first appearance as pole sponsor in the Monster Energy NASCAR Cup Series at Talladega Superspeedway. 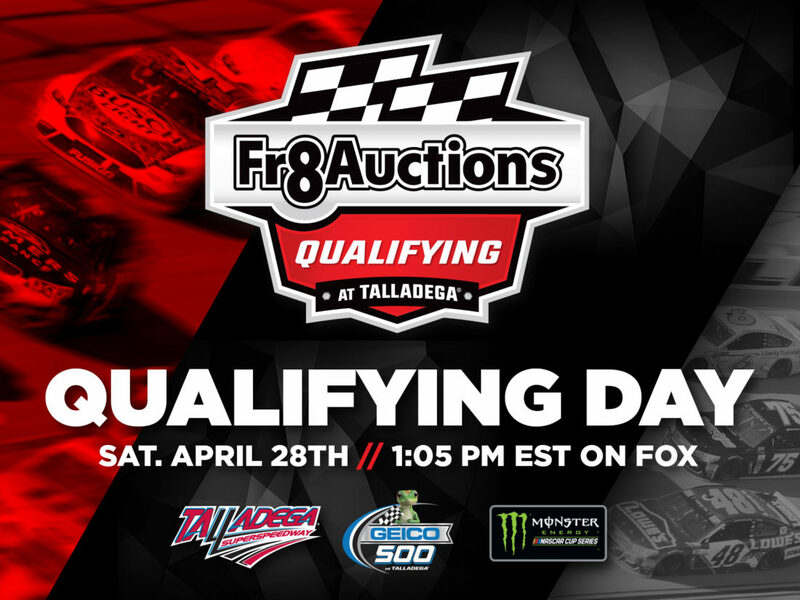 The Fr8Auctions Qualifying at Talladega logo design embraces the company brand colors and organized in a visually appealing way within a sports logo type containment badge. SMD also designed the pole trophy that will be awarded to the pole winner. This marks the first trophy design by SMD in NASCAR and will be unveiled on Saturday, April 28th following qualifying for the Geico 500. The Fr8Auctions Qualifying at Talladega logo will be painted in the infield tri-oval at 2,000 sq feet and appear in various promotional material around the track including the souvenir program.